Quality Garden Buildings are situated within Ladds Garden Village found between Reading and Maidenhead on the A4. 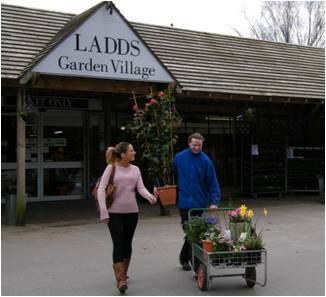 Click here to see the Ladds Garden Village website. We’re a friendly bunch at Quality Garden Buildings so give us a call or drop us an email to see how we can help you. Our helpful, experienced team are on hand to help you choose your perfect garden building. Or why not come down and take a look at the quality of our buildings for yourself, Our showroom at Ladds Garden Village has over 20 cabins, summerhouses, offices, cabins, gazebos and sheds on permanent display. If you prefer to ask via email, fill out the form below and click on send. Require a brochure, select the links below to download/view or request the current from our manufacturers. Complete the form below with any inquiry or request and we will get back to you soon. … or give us a call! Call us at any time for any help even if you need a specific service or building that isn’t listed on our website. Or find us / contact us on your favourite social media sites.